NASCAR desperately needs younger viewers. In case you’re over 40 and don’t have kids, that’s the residence of one Mr. Spongebob Squarepants. And now, it’s the center of branding hell as the newly minted “Spongebob Squarepants 400” in the famous stock car racing circuit. According to an official press release from NASCAR and the Kansas Speedway, Nickelodeon is an official sponsor for the race, which will air on FOX May 9 at 7:30 p.m. ET. 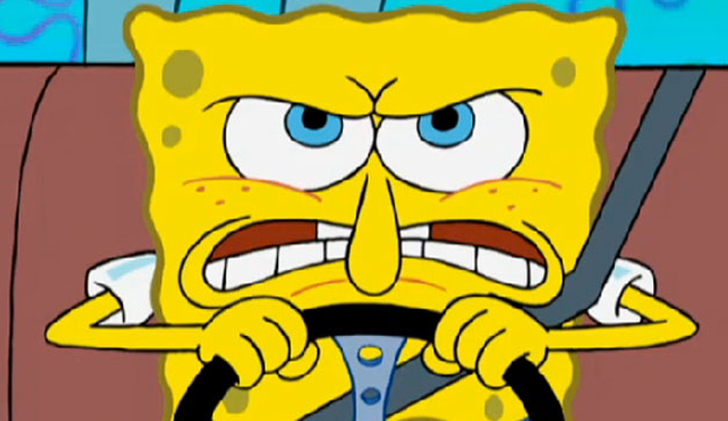 So the tough guys of stock car racing are going to race 400 miles at ridiculous speeds to celebrate with Patrick Star, Squidward, and the boys on Victory Row. This happened before at a 2014 Charlotte Motor Speedway race, but the U.S. was a different country then: riddled with angst, struggling with money, and desperate for long-term sponsors. NASCAR desperately wants kids to get into its game because its core demographic is not exactly the nation’s hottest at the moment.